It is a precious gift Cretan land has to offer to the world! Nothing is more common in Cretan valleys and mountainous areas than the millions of olive trees that grow there. Cretans have been cultivating the olive tree and have been using olive oil since 3500 BC during the early Minoan period, as archaeological findings have proved. The Cretan olive oil is the basis of the Mediterranean Diet as it is considered to be the healthiest product of Mother Nature. The olive oil is still being used for medical and religious purposes. 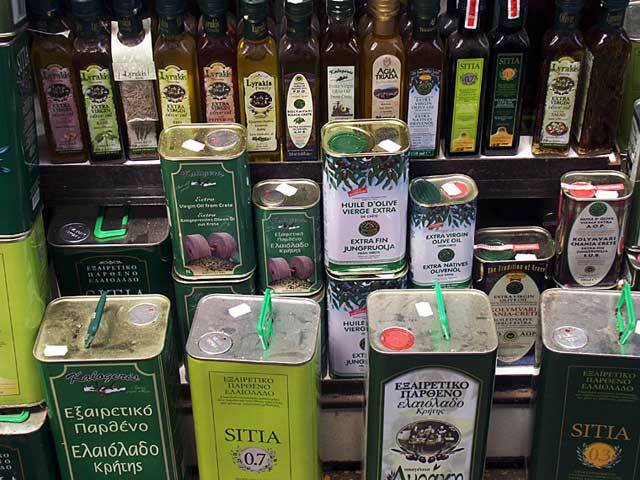 The variety of olive oils, at the Cretan markets is amazing.